If you are an adventurer who is ready to be entertained by an online pokies game that can be aptly described as “out this world,” then you need to grab the front seat and brace yourself for the intriguing Immortal Romance online slots from Microgaming. You don’t have to wait for the next Halloween to hang out with vampires and witches. This five reels pokies machine with 243 winning ways takes you out of the ordinary into paranormal extraordinary offering you some cracker immortal action, excitement, suspense and most of all, winning opportunities than you can never imagine. The game was developed in December 2011 and instantly became famous all over the world. This five reels pokie game is embodied with excellent features that keep players engaged for hours. From vivid graphics, a smooth and authentic soundtrack, as well as an innovative gothic story-line that will enthrall and intrigue you from the start to the finish; the game is unparalleled. What sets this slot apart from the other online slot is not only its alluring theme and graphics but also the 243 winning ways and the fact that the game dispenses with the traditional pay lines altogether. A winning combination is achieved anytime similar symbols are displayed on consecutive reels from left to right, without any consideration of their position on each real. 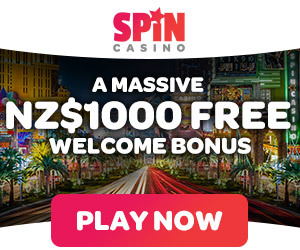 The game comes with endless opportunities galore for multiple winnings, free spins and the fantastic wild bonus features that can significantly improve your chances of winning by turning non-winning symbols into winners. The reels are filled with icons of the characters, archaic scary looking massive door knockers and the wilds. Little value symbols for this slot are the decorated standard playing cards Q, J, K and A while the higher value symbols are characters such as Sarah, Michael, Troy and Amber as well as a huge old house and a manuscript. The lion’s head door knocker is the scatter symbol while the wild symbol is the immortal romance logo. This feature is triggered randomly and turns up to five reels wild, thereby, increasing the chances of you hitting a winning combination. The epitome of this game is entering this chamber. It is the main bonus game, and you need to land three, four or five scatters symbols (lion’s head) to get into the chamber. Every depicted character of this slot is designed to offer different features and extras. • Amber Bonus Feature – this bonus becomes apparent when the first bonus feature is triggered. The Amber bonus feature gives you ten free spins, and every win here has a 5x multiplier. • Michael – it becomes apparent in the 10th bonus trigger, and you get 20 free spins and rolling spins. When you hit a winning combination during this free spins, the symbols in the combination roll and turn other symbols increasing the multiplier with a 1x for every single combination. The game has a non-progressive jackpot of 3,645,000 coins. The slots coin ranges from 0.01 to 0.02 while the min bet per line is 0.30 and the max is 6. It is rare to find slots with an engaging and exciting tale as that of Immortal Gaming. Additionally, the high-grade graphics, entertaining features that come high rewards as and the impressive 3,645,000 coins jackpot are just but a few things that should entice to try it. It is authentic and solidly fun to play. As far as Microgaming poker machines go compared to Aristocrat pokies in quality this is a ripper! Google + Profile: Tina Lim on September 21, 2016. on December 15, 2016.